With AxCrypt Premium, you have access to extended functionality and exciting features! For a small fee, you can make sure your files are encrypted with AES-256 – the strongest version of the AES algorithm. It is a U.S. Federal Information Processing Standard, widely used globally to protect sensitive and classified information of all levels. 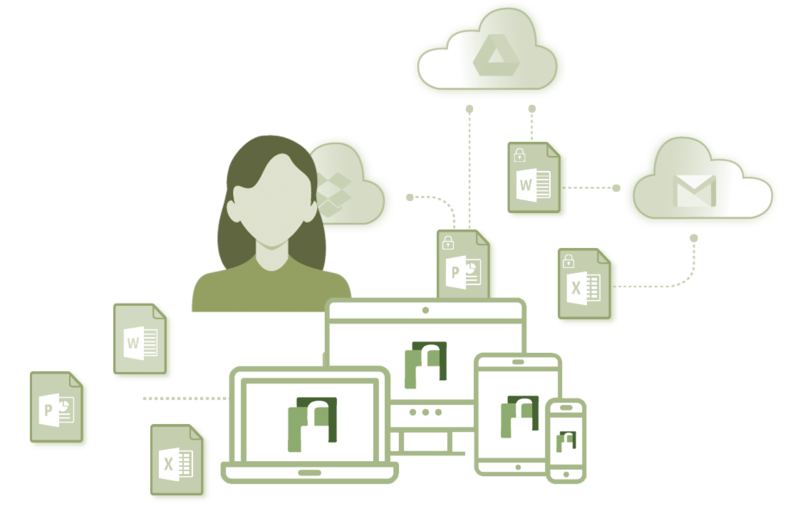 Sharing files with others is award winning easy with our cloud storage awareness in Dropbox, Google Drive, etc; and key sharing feature. By using the Secured folders feature, you can automatically secure new files as with a single click. You also get the option to include subfolders. With AxCrypt Premium you can access your encrypted files with our Mobile Apps, on your Android or iOS device. Use our Password Management and Password Generator to keep all your passwords and other secrets safe in our cloud. With a Premium subscription, you can also hide the names of your secured files and remove files safely. For more information, visit our features page. it is not intended for organizations. Click here for AxCrypt Business. Take your file security to the next level with AxCrypt Premium! Register here to sign up and receive a Free 30-day Trial, or click the button below to buy or renew your AxCrypt Premium subscription.